How can you set the location of a record? Setting the location of a record on the web app. 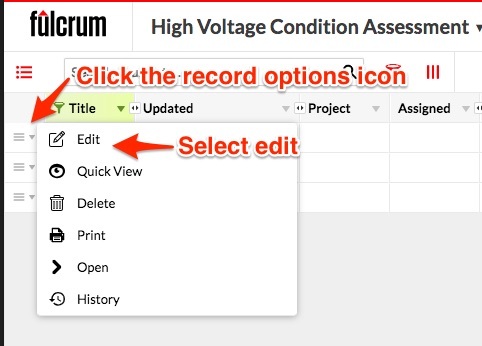 At the top of the record editor, when creating a record start by clicking the green '+' icon to create a new record. Then click on where you would like to have the record set on the map. At the top of the record editor, when creating a record start by clicking the green '+' icon to create a new record. This will then bring up a popup window where you can select a location on the map or enter in the location manually. 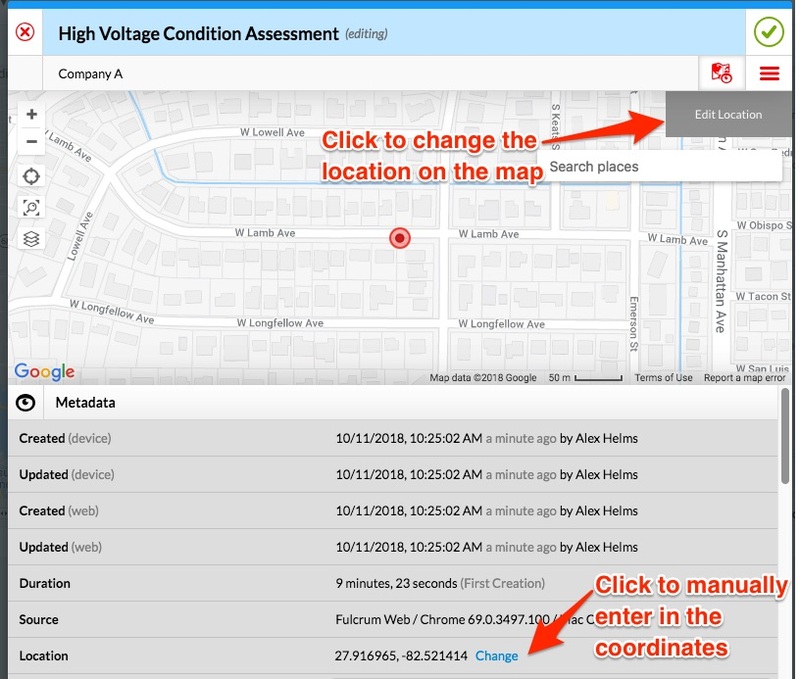 Start by clicking the record pin on the map, then clikc the edit button to enable edit mode. 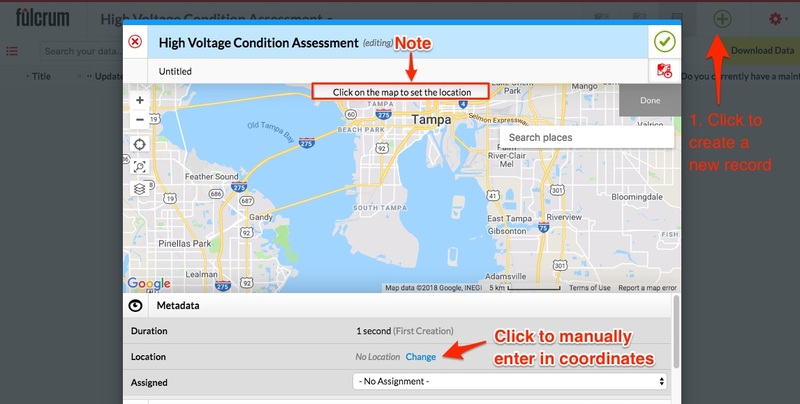 You can click on the ‘edit location’ button and then click anywhere on the map to set the location for a record or manually change the location of the record. To edit a record from the table in the split or table view, you can open the record directly in edit mode by clicking edit from the record options dropdown. Then you can either edit the location on the map or manually enter in the location like above. In order to manually set the location for a record you must type the latitude and longitude information in a decimal degree (DD) format. Where latitude values are bounded by ±90° and longitude values are bounded by ±180°. Records in Fulcrum do not need to have a location set. Records that do not have a location will not be viewable from the map view on the record view. In order to locate these records, you will need to use the table view.